Gold closed the second quarter around the low for the year as the widening tariff disputes boosted the dollar. Currently in the short run, many factors are negative for gold: the strong dollar, monetary tightening and the easing of tensions with North Korea. 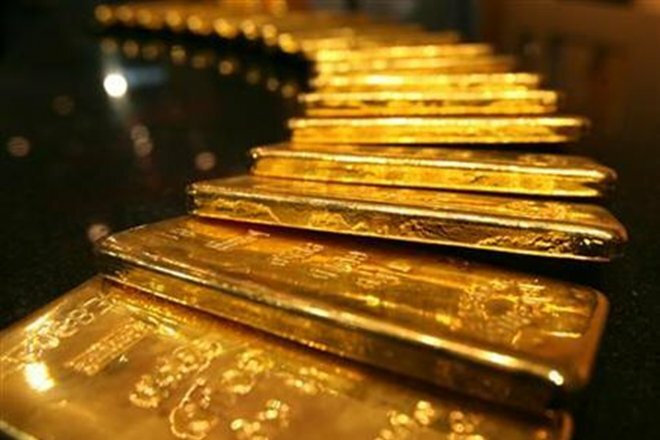 Gold prices traded in a narrow range on Thursday, after hitting a one-week high on Tuesday, amid an easing dollar and as the markets awaited minutes from the U.S. Federal Reserve’s June policy meeting. The metal touched a one-week high at $1,261.10 in the prior session and gained over $20 from Tuesday’s low of $1,237.32 an ounce, it’s weakest since Dec. 12. The dollar index, which measures the greenback against a basket of six major currencies, was down 0.1 percent at 94.539. Last month, U.S. Fed Chairman Jerome Powell said the central bank should continue with a gradual pace of interest rate rises amid a strong economy to balance its employment and inflation goals. In its June meeting the central bank had projected two more rate hikes in 2018 for a total of four. Interest-rate expectations, and with them, a higher dollar, have almost exclusively accounted for gold’s retreat. Higher rates dull the appeal of non-yielding bullion, while a firmer dollar makes the gold priced in the U.S. unit less appealing to investors using another currency and any further rate hike is expected to pull down gold prices. What’s not known is the severity of the downtrend.